This building is located on one of Summerside's busiest streets. 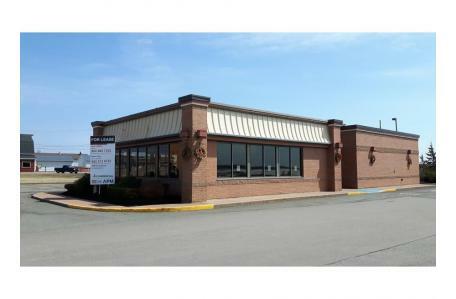 Formerly a fast-food restaurant, it has two main entrances, a dining area, drive-thru windows, a kitchen, and men's and ladies rooms. The Summerside baywalk is directly behind the building and there are many other businesses in the area. Nearby businesses include CarQuest, KFC, H&R Block, Staples, Bakin' Donuts, Township Chevrolet, and D Alex MacDonald Ford.